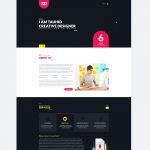 Duckett includes 5 Different Home pages, each homepage has a unique design and a high conversion rate that will be great for your next project. Duckett is a fully responsive. Whatever you are browsing from mobile tablet or desktop/laptop, the landing page will be fit all screen sizes. Duckett has everything you need to launch your site within next few hours! You can reach us just mail us [email protected] Support for our customers is provided on business days: Mon-Fri 10:00am-6:00pm (GMT +1). Standard reply time is within 24-48 hours.